College & Majors/Minors: I attended Butler University in Indianapolis and started off as a music major. During my second semester I fell in love with my English seminar and decided to change my major. I graduated with a B.A. in English Literature in 2004. After five years of working in higher education I decided to go back and get my masters (bonus of working in higher education: many institutions give free tuition or have tuition exchange at the graduate level so I didn’t have to take out more loans). I earned my M.S. in Management from the University of St. Francis (IL) in 2011. I’m currently the Director of Institutional Research at Marian University in Indianapolis. I usually tell people that Institutional Research is like the analytics/big data arm of higher education—I write a lot of sql code to query and retrieve data out of various data sources and then report out to federal or state agencies on how many students we have, their demographics, counts of students enrolled in each major, etc. A large part of my job is also taking massive amounts of data and translating it into meaningful information that helps administrators understand our students, our programs, and where we have opportunities or challenges. After a brief stint as “Word Processor” at a consulting firm (I proofread bibliography entries... I lasted six months) I got a job in the financial aid office at a small university back in my home state of Minnesota based on my prior experience working in the admissions office during my undergrad. The financial aid job was supposed to be temporary until I went back to graduate school to become a professor. Well, that didn’t work out as planned but it was the best thing that could have happened. I discovered I really liked working in financial aid and at a college. In 2007 my college boyfriend (now my husband) and I decided to move to Chicago. I found a job as a financial aid compliance analyst. We stayed in Chicago for 8 years and my job roles transitioned from internal staff training and policy writing to report writing using a Business Intelligence (BI) tool. I was named Project Manager for an internal BI launch in my department and that’s where I really started to get into databases, data, and reporting. The Institutional Research thing was not part of the plan. When my husband and I decided we wanted to move back to Indianapolis, I started applying for financial aid jobs and couldn’t get a callback to save my soul. It was awful and I really began to doubt myself. It was actually one of my IT colleagues that suggested I look into Business Intelligence or Institutional Research. I started applying to those types of jobs and finally heard back from employers. Eventually, I accepted the offer from Marian we moved back to Indianapolis in September of 2015. I’ve been in the Institutional Research (IR) area for about three years and love it. I was a peer tutor in college and learned a lot about helping people gain confidence in their writing abilities. Too often, peer tutoring can be a place where a student takes a paper in, the tutor destroys it with red ink, and the student goes back to make changes. I was lucky to have a tutoring director who helped us understand our job was to teach people to become confident in their writing. As a supervisor, my job is to help my employees gain confidence in their skills and abilities. I also spent a good five years writing internal policies and procedures for my financial aid/bursar office. This helped me hone my skills of balancing policy language with practicality for implementation. I wish I could say I mastered the skill but it really is an art. If I had to go back and do it again, I’d cut out 50% of the words. Less is always more. The narrative pre-recession (2008) was much different. There wasn’t this intense focus on immediate outcomes and the return on investment of a college degree being measured by your first paycheck. I had to graduate in three-and-a-half years due to finances so I was more worried about graduating in college than I was about what would happen afterwards. I think my jobs in the admissions office and in the writing center helped tremendously when I started applying for jobs, but when I started out I was applying for administrative assistant positions. I had no idea how to brand my skills or even what English majors did (aside from going to grad school). I did, however, take my studies very seriously. I tried to stretch myself on assignments, took risks, and put a lot of effort into coming to class prepared. It’s paid off in the long-run as I feel more comfortable now taking risks and stretching myself in my professional work. My professors were always challenging me and along the way I learned how to challenge myself. This has been one of my biggest assets as a professional. A challenge is an opportunity in disguise. I’ve been successful because I don’t shy away from a challenge and can instill confidence in others that it's a worthwhile endeavor. Find a practical niche in your studies like taking one or two courses on technical writing, grant writing, copy editing, writing in healthcare, etc. Volunteer your writing skills out to a local non-profit or charity. You’ll learn something about a specific industry (including their lingo) and how to translate your skills into something outside of academia. Read. Never underestimate the power of being well-read. Posted on November 3, 2018 by Alyssa W. Christensen and filed under Interviews, Interview. I currently work in content management for the Ecommerce app Wish, a growing shopping platform with over 150 million worldwide users. I am also the founder and Editor-in-Chief of Marjorie Magazine, a vintage lifestyle magazine coming onto its third print issue this spring. My first job was a lucky break after just graduating from the University of San Francisco. I spent all summer indulging myself in creative DIY projects with designing notebook covers and typewriting my own prose, and it was put to great use during my time as a creative workshop captain for Paper Source's Fillmore Street location. All of us who worked there even got to design and display our own greeting cards made in-house, and shoppers were always asking about them. A year after working for Paper Source, I wanted to move up into the field of marketing, where I landed an internship with a small web interface startup called myWebRoom. Six months after writing copy for their products and their blog, I was approached by my current company, Wish, to help build and moderate the content on the app as well as launch and moderate their social media. Having worked in San Francisco and surrounded by tech-talk for four years now, that is when I decided to create in March 2017 my own online publication and print magazine, Marjorie, devoted to vintage lifestyle in the modern world. I love vintage, from fashion to music and design, and naturally I wanted to find an outlet to write about these passions while connect with other like-minded creatives. When there was none to be found, besides small niche communities on Facebook and Instagram, I realized that I had to make it myself. Freelancing in between my time at Paper Source and myWebRoom really helped propel me into the right direction in terms of what I wanted to achieve with my writing. Simply looking for opportunities on Craigslist opened doors into what sort of writing jobs were out there and which ones made the most sense for my style and background. For a time, I also branched out to open mics across San Francisco and connected with poets to share my old typewritten prose, to which I realized that was not for me. I also found out about the incredible world of self publishing and began to publish my own books via Blurb featuring my poetry and personal essays. I still use Blurb to this day for Marjorie. It's a great start to building your portfolio and learning design, or just getting your work out there; you don't have to wait around for the big publishers at Penguin or The New Yorker to deem your book readable—if you have a story and you put social media and your networking to use, you're always guaranteed devoted readers, no matter how big or small, that will want to read, that will want to buy and invest in your talent. I landed an exciting opportunity to intern for McSweeney's, reading submissions and fact-checking articles for their sister publication The Believer, while also volunteering as a tutor for grade-school students over at 826 Valencia. The interns even had monthly meet-ups with Dave Eggers himself—it was quite surreal! I was given the chance to pitch my own stories for both McSweeney's and The Believer, for the latter actually being commissioned to interview my favorite band, The Airborne Toxic Event, who happened to be in town that spring. Even though the editors ultimately passed on the final piece, they were helpful in providing alternative places to get it published and even referred me over to editors at The Rumpus. All of the ups and downs in my internship and college years spent as an English major were documented in my personal blog at the time, Paris Kim Writes. My advice is simply to put your passions to paper, write it out, whatever IT is. A small idea, random words, just as long as you're still devoted to your words and ideas and never lose sight of these things that make you unique as an English major. And take charge of your resources. In just a few years from my Craigslist-surfing days I discovered a multitude of places to connect with other writers and find new opportunities for work. There's Shut Up and Write on Meetup, which are weekly sit-ins with other local writers at a cafe or elsewhere to just sit together and write; there's plenty of Facebook groups advertising freelance work and great media to apply to and get feedback; and of course, there's always open mics, for you never know who might be lurking in those crowds. The support is there, and I've listed a few, and it's there for you to take and know confidently that there is always something exciting waiting for you and your work on the horizon! Posted on May 7, 2018 by Alyssa W. Christensen and filed under Content Marketing, Social Media, Interview, Interviews. I’m a Digital Advertising Copywriter at The Home Depot. Shortly after finishing grad school, I was contacted by a recruiter with a large staffing firm who found my resume on sites like Career Builder and Monster. It was a contract (temporary), project-based position with an industrial lighting company as a Graphic Designer/Production Artist. Not what you’d typically expect for someone with two English degrees; however, my previous experience with my collegiate newspaper and yearbook allowed me to learn programs like InDesign, Photoshop and Illustrator, which helped me land the gig. This job also required extreme attention to detail and the ability to thoroughly proofread to ensure all copy was clear and accurate. Fast-forward to my current job, and once again, I was sought after by a recruiter with a smaller firm that specialized in placing talented candidates at a variety of well-known companies. A former contractor had just been promoted to a full-time position, so they were in the market for a new SEO Content Writer. I interviewed and was offered the job on the spot! Thankfully, I’ve been blessed with several writing-related opportunities throughout my career thus far, but I’d say there were two pivotal roles that led me to where I currently am today. The first was a short-lived contract position with a large financial institution here in Atlanta. There was no creativity involved and little to no direction on the writing I was producing. It was very constricting, which made it difficult for me to grow at the time. I wasn’t a good fit for the culture either, which plays a huge role in how successful you’ll be with any organization. Even though this position paid me the most money I’d ever made, it simply wasn’t in line with my ultimate career goals. The funny thing is, I didn’t truly know what those goals were at the time. I figured since it involved some form of writing at the corporate level, and I was making great money, surely I was heading in the right direction. I was ultimately let go from that job, which was pretty devastating at first, but it wasn’t until then that I realized just how much I dreaded the job! Being let go was one of the best things to ever happen to me because it forced me to make a career shift. Up until then, I’d been doing mostly technical writing, with a few freelance opportunities here and there to really write creatively and produce original content. I consulted a resumé writing service to help me rewrite my resumé, created an online portfolio of my more creative freelance work that more accurately reflected the type of work I was seeking, and even made up some projects just to showcase what I could do if given the opportunity. Eventually, after many long days and nights of applying to several positions, I landed a role as a freelance Jr. Copywriter at a boutique advertising agency called Shared Vision Marketing in Atlanta, GA. This position stretched me in ways I never imagined. I was challenged everyday to come up with original ideas and execute them in clever, tangible ways. I worked with their in-house Social Media Manager, Art Directors, Account Managers and Creative Director to brand a variety of small consumer packaged goods (CPG) companies to develop web copy, blog articles, direct mailers, scripts and more. I even had a chance to continue honing my graphic design skills by laying out the official program for a non-profit event we sponsored. In just two months, I was able to significantly improve my portfolio with tons of fun, creative projects that truly showcased my creative abilities. It pushed me out of my comfort zone and showed me that working as a creative writer in the business world was possible. It forced me to pursue a much more fulfilling career, eventually landing me at my current job as a copywriter for the world’s #1 home improvement retailer. I’d have to say mastering the art of critical thinking is a big one—and ongoing. Learning how and when to ask the right questions; especially “why?” will take you far. You’d be amazed at how many people, especially in the working world, don’t do this. I also believe that my participation in extracurricular activities such as my collegiate newspaper, yearbook and various honor societies, clubs and other on-campus publications like our literary magazine and departmental newsletters, was a big help. I learned to network and build strong relationships as well as how to problem solve. My number one piece of advice is to never allow anyone to box you in. When I was an English major, most people assumed that I would become a teacher or a professor. These are great career paths if that’s what you truly desire, but this assumption is often because most people don’t understand what obtaining an English degree entails other than reading and writing. There are so many paths available to you as an English major. I personally think it’s one of the best kept secrets in academia. English requires you to study several other disciplines to truly understand the intent of a text. You learn to thoroughly research in addition to studying individuals from various backgrounds, beliefs and experiences, providing you with unique insights that make you a much stronger candidate, writer and employee. It can be difficult when you’re first starting out, but don’t give up! Think outside the box and learn how to sell yourself. Always think “big picture” and then convey how all the fine details work to create the big picture. Be a writer, but also be a thinker and a doer. Understand how to best implement your ideas into something tangible that will have the best impact on the intended audience or medium. Always be working on and improving your portfolio and always be willing to learn new skills to help you leverage your writing in new and exciting ways. Keep asking the right questions and be naturally inquisitive. Steadily build your network and keep in touch with recruiters and colleagues as you move throughout your career – you never know when you may need them again! An English degree equips you with all the tools necessary to be successful in a variety of career paths, but keep in mind that some roles may require you to be more than just a good writer. To learn more about Brittany and the work she's done over the years, check out her portfolio, website, and blog. You can also follow Brittany on Twitter and Instagram or connect with her on LinkedIn. Brittany is also a contributing editor for Neu Neu Magazine, which you can follow on Instagram here. Posted on March 22, 2018 by Ashley Hawley and filed under Copywriting, Interview, Interviews. Policy and procedure editor at a financial services company. I got my first "official" (i.e., paid/non-internship) job—a staff position as an editorial aide at my university—through connections I made during my very first editorial internship. 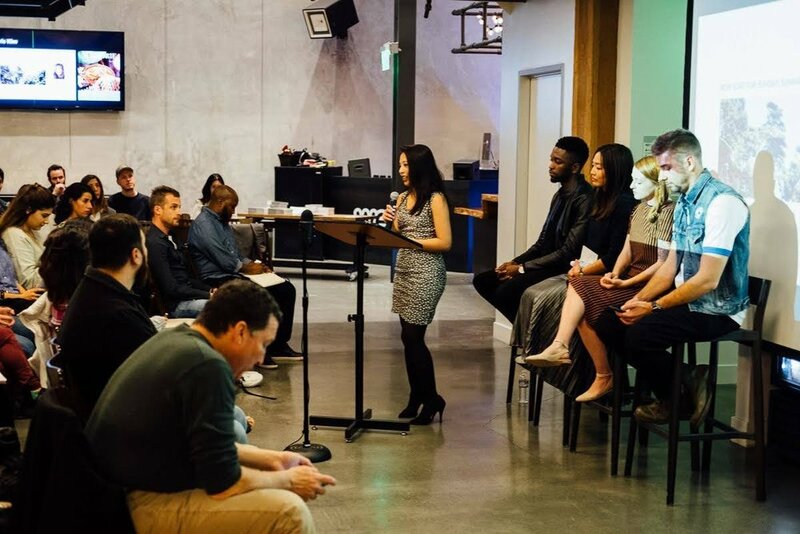 It pays to network and put yourself out there, even if it seems uncomfortable at first. Peers and mentors you meet in your first job(s) are your biggest allies. I still list many of them as references on applications, and do my best to check in with them at least once or twice yearly to maintain those relationships. Additionally, I didn't turn down any chances to put my resume out there, even if it was just on a local job board and seemed like a long shot. I'm so glad I did, because my current employer found my resume on one of those postings and reached out to me directly to schedule an interview. It just goes to show that you never know who is paying attention! My current role as a policy and procedure editor has been significant in developing my professional writing skills. I've learned the importance of editing without sacrificing meaning, and that every single word matters, particularly from a compliance perspective. Additionally, learning how to turn complex technical documentation into clear and concise language that anyone can understand has proven to be an invaluable skill, one that also helps me with my personal writing when I find myself being a little too verbose. 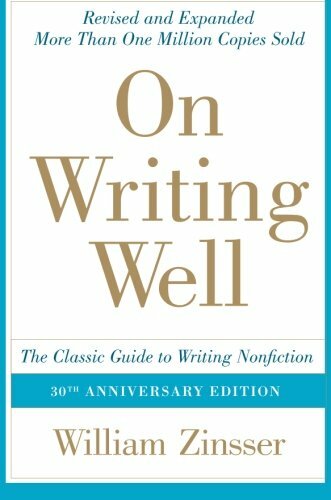 My senior manager had my team read a book called On Writing Well by William Zinsser, in which the author writes, "Writing improves in direct ratio to the number of things we can keep out of it that shouldn't be there." That is my mantra these days. I did as many university internships as possible, and sought positions as a student worker that directly applied to my college major and long-term career goals. The beauty of school-sponsored opportunities is that those types of mentors value your long-term goals and simultaneously recognize that you first need to excel as a student before you can reach those bigger aspirations. It's a nourishing type of professional development, one that won't leave you drained or overwhelmed. Be confident in your goals, but creative in how to achieve them. When applying for jobs, consider the types of companies that need writers and editors, but aren't typically the first employers that come to mind, such as hospitals or tech companies. As an undergrad, I never imagined myself working in financial services, but I've completed some of my most important and rewarding work as a writer and editor in this industry. Lastly, it's never your job to tell yourself no. If you see an opportunity that excites you, even if you think it's a long shot, you owe it to yourself to pursue it. Your knowledge, capabilities, and experience—and the positive ways in which others perceive those things—may surprise you, unlocking doors that you yourself may have left closed. You can connect with Marissa on LinkedIn here and follow her blog here! Posted on March 1, 2018 by Alyssa W. Christensen and filed under Writer, Interview, Interviews, Editor, Editing, Writing. I work as a Technical Writer at HubSpot, a global marketing and sales software company. I translate complex software concepts—from operating the CRM to setting up technical integrations—into human language that users can understand and look forward to reading. In the tech industry, writing is very prominent. HubSpot needs people to build the software, but also people to communicate its functionality and strategy. That’s where I come in. On a regular day, I’ll work across departments including product, engineering, content, and technical support to stay on top of what’s happening with the software. I then use this information to plan new content or edit existing documentation to ensure that our articles accurately reflect the software’s most up-to-date functionality. Additionally, I take on writing opportunities at HubSpot unrelated to my core role, including blog writing and editing as well as writing projects outside of work. I store all of my writing samples in my online portfolio. In a nutshell, I use my writing every day at HubSpot to communicate the functionality of and strategy behind the software. Throughout my time as an English major in college, I always had people sarcastically tell me, “Good luck finding a job!” While thoughtful of them to share their good wishes, I didn’t need any luck. Finding a job with a B.A. in English was not an issue at all. I graduated in May 2015 and I landed my first job one month later as a Marketing/Proposal Coordinator at Hoyle, Tanner & Associates, Inc., a civil engineering firm. I found the job posting online on a job board, and I applied, as I did with many other jobs. You really have to make job searching your full-time job after graduation. In total, I probably applied to over 90 positions during that one month between graduation and my first day at Hoyle, Tanner. My primary responsibility was working across different engineering teams to create content for our technical proposals. I wrote technical content, designed proposal layouts, copy edited too many pages to count, and combined content from a diverse group of contributors to produce cohesive documents that told our clients who we were and what skills we had to offer. I also wrote for the company’s blog when I wasn’t working on proposals. I later applied the technical content creation, writing/editing, and communication skills I built at Hoyle, Tanner to my first job at HubSpot in May 2016. I found HubSpot while I was researching marketing (I always wanted to learn as much about the industry I was working in). I applied online and interviewed for the first round two days later. I initially came on board as an Associate Technical Support Specialist, where I provided support to HubSpot users in all areas of the HubSpot software. After nine months, I was promoted to a CRM/Sales Product Specialist. While writing wasn’t my full-time job yet, I continued to write as much as I could for different content platforms until I landed the Technical Writer position in August 2017. While my career is only a little under three years old, I have fine-tuned my writing, editing, and content creation skills while building up my technical expertise and product knowledge. I had the privilege of doing freelance editing and research projects for one of my Norwich professors, Professor Sean Prentiss. Not only was I a student of his for a couple writing classes, but I also worked closely with Professor Prentiss on The Chameleon, Norwich University’s literary journal. I was a member of the editorial team for three years before taking on the role of Editor-in-Chief during my senior year. I also worked with him on a grant writing project for the Vermont Humanities Council. We put the contribution toward Norwich’s PoemCampus celebration. Over the course of my time at Norwich, we worked together to highlight the importance of literary arts on a military campus. After graduating, I had the pleasure of copy editing Professor Prentiss’s work; projects ranged from textbooks to autobiographies. He’s such a gifted writer and I’m so honored I was included in his writing process for a variety of his publications. During my first two years, I focused solely on immersing myself in writing and literature, the two loves of my life. By throwing myself into my academics, I started building skills that I could apply to my future career: communication, writing, research, and public speaking. I also learned how to create and defend an argument after writing an abundance of essays which all required a well-researched thesis. My junior and senior years were no exception. I continued to focus primarily on my studies and getting as much out of the curriculum as I could. Four years fly by, and that was starting to sink in as I aged out of the University. I tried to absorb as much as I could from every class I took. However, I also started weaving in some career planning. I joined a mentorship program and chatted with my professors who had backgrounds in publishing and writing, two fields I wanted to explore post-graduation. On top of that, I worked with Norwich’s Career Center to get tips on creating a résumé and cover letter and to practice my interviewing skills. To best prepare for a post-grad life, focus on getting good grades (they do matter, like it or not), working hard in your classes, and pursuing side projects that interest you. You can then layer in some light career planning such as interviewing and job application practice with your University’s career center. Getting a job requires you to know how to market the experience you have. As an English major, you have the skills you need to succeed in a range of industries. You just need to market those skills to specific positions. Looking back now, I wish I didn’t stress so much about graduation. After getting a job, the rhythm of the work world becomes natural, just like college. If you’re a current college student, slow down and don’t be in a rush. It’s easy to get caught up in your own thoughts about moving on to the next big thing, constantly strategizing on how to succeed in the career you don’t have yet. The people who say you can’t get a job with an English degree are the ones who never tried. You can go far with a degree in English. Articulation holds more power than anyone can imagine. Click here to visit Abigael Donahue's website! Posted on February 17, 2018 by Alyssa W. Christensen and filed under Technical Writing, Interview, Interviews and tagged Technical Writing. I currently work as a Supplemental Instruction (SI) Leader for mathematics courses at El Camino College. Every academic semester, I get assigned to a different course where I attend class with my students, discuss with the professor what class material I should review during “SI sessions,” and promote and facilitate review sessions that are tailored to the specific class I’ve been assigned to. It’s an interesting position and maybe a little confusing to the students who sometimes think I’m a tutor (which I’m not because I don’t work with students one-on-one) or if they ask me about their grades (which I don’t know about because I’m not a TA). I would describe it as a combination between being a teacher, TA and a tutor. Many colleges and universities around the country use the SI program as an academic program to help students succeed in stereotypically difficult courses. I know that as English majors many of us get asked if we would ever teach. I was one of the skeptical ones, but being in my current position, it’s definitely the most rewarding position I’ve ever been in and it makes me rethink what I want and what I value in my long-term career goals. Long story short, between my junior and senior year in college I realized that although I love writing and being immersed in artistic creativity, as I career I wanted to do pursue something that would continue to intellectually challenge me and be math-biology oriented. I wanted to pursue a research career in public health. But, instead of switching majors or staying in school for a few extra years, I decided it was better for me to graduate on time and figure out if what I thought I wanted to do was what I wanted to do with my life. Some of my first few jobs outside of college were working as a cashier at a ramen restaurant, working as an editorial intern at Tokyopop, and organizing specimens as an Implant Retrieval Lab volunteer at the Orthopaedic Institute for Children. I feel like the volunteer experience was what convinced me to follow that inkling I felt during my last years in college. After a few years in the workforce, I decided to go back to school to complete prerequisite courses that would help me to apply to graduate programs that interested me. I decided to complete lower-division requirements at El Camino College where I started working as a tutor at their math study center. While I worked as a tutor, I heard that the SI program was looking for new SI leaders and I applied. I’ve been a student in an SI session myself when I was a student at USC and I remember thinking that if I had the opportunity to be an SI leader, I’d want to do it, so I’m really glad I’ve been able to do this! In addition to working as a SI leader, I also write for Hubpages, which is a user-generated-content website. When I was an intern at Tokyopop, I wrote an article every week on their “Learning Japanese” blog. Before that position, I wasn’t really interested in writing online or blogging because I had an image that blogging was like a diary except you write online. But the Learning Japanese blog showed me that blogs aren’t necessarily about personal stuff, but it could something informative and educational. This is kind of a tangent, but having an English background and being a math tutor I feel like it makes me a different kind of instructor than say, an instructor with a science-math background. I try to be mindful of how I communicate with my students, especially if they make mistakes. I’ve noticed many students have “math anxiety” which I think comes from feeling discouraged about their mathematical abilities so when I talk to my students, I make it a priority to sound encouraging even though they may totally be approaching the problem wrong! I believe I’m able to do that kind of “thoughtful” communication because of the verbal and written communication training that comes from being an English major. I wish I could say that I worked several internships, networked like crazy and landed a prestigious position after college, but that wasn’t the case. I think networking is for real, but I also don’t think it’s the end of the world either even if we don’t have a large professional network. I feel like networking increases the chance that our resumes get looked at and bypasses some red tape, but the probability that we actually get hired for the position is the same whether we got an interview because we know someone at the company or submitted an application online. I always worked throughout college and I’m sure subconsciously it has helped me develop the kind of work ethic we need to be successful after college. I feel like with me it’s the opposite—being in the real-world helped me realize things I could have done better as a student. When I went back to school, I realized the power of having relevant experience on my resume, but it’s hard for me to do internships during the academic year (because I work and go to school), but every summer I made sure I did something research-y oriented because that’s what I would ultimately like to do. I feel like the best thing about being an English major is that it doesn’t prepare you for only one type of job or one type of career. If I met someone with say, an engineering degree, I kind of have an idea of what kind of company they would want to work for or what type of career path they might lead. But having said that, I also feel like the best thing about being an English major is also what makes it the hardest thing—there’s so much you can do with it that it can be really overwhelming! If there’s any advice that I could give, I would suggest that if a student is interested in becoming an English major, I would ask them to ask themselves why they want to study it and how it fits in with the rest of their life goals. This is another tangent, but I read somewhere online once (and I agree with this statement) that when employers are hiring nowdays, they look for really specific skills that we may or may not learn during school, so I would also suggest that along with getting an English degree to get marketable experiences and skills which they could pad their resumes with. Posted on February 16, 2018 by Alyssa W. Christensen and filed under Teaching, Interview, Interviews and tagged Teaching. I work at a national healthcare staffing agency as the Marketing Manager. My team and I handle all of the marketing efforts for the company, including blogs, social media, digital advertising, print materials, and event planning. We have five unique divisions within the company to support, so it’s a busy job, but a ton of fun. It’s a great opportunity to do a little bit of everything in the marketing world! I started in the world of marketing back in 2009, when social media and blogs were just starting to become a mainstream idea for businesses. I happened across a job opening on Craigslist for a copywriter who would be comfortable using sites like Facebook and Twitter. I immediately jumped at the chance to start a job that would actually use my writing skills—I was working as a bank teller at the time and desperate to start a real career. I ended up getting hired for that position and spent the next six-and-a-half years working my way through the ranks at a small digital marketing agency. I eventually ended up as the Director of Social Media Services, managing a full team of content writers, graphic designers, and social media specialists. In 2015, I was contacted on LinkedIn by my current company. They were looking for someone to come in and jumpstart their marketing efforts and liked my background. It ended up being an incredible opportunity for me to build a new team from the ground up and develop a marketing plan for a great company. And with my experience at a marketing agency, I was already used to balancing projects and deadlines for a range of clients. Now, my “clients” are the different divisions that we have. While I was working at the digital marketing agency I was deeply engrained in the world of social media—especially Twitter. Through the connections I had there, I ended up with a freelance gig writing a weekly column for a local paper all about social media. I’d explain what different social media sites were, how to use them, and help people feel more comfortable with this new world that was changing quickly. The articles I wrote there ended up leading to another freelance gig teaching local real estate agents how to manage their own marketing and social media accounts. I’d work at the digital agency during the day and then consult and write at night. I lived and breathed social media marketing 24/7, and that dedication helped me stay ahead of trends and move my career along. There are a few things that I did in college that helped prepare me for my post-grad life. I was actively involved in a few different English major related clubs, including Sigma Tau Delta, the honor society. I was also a mentor for incoming English majors with a few friends. Through the mentoring group, we developed a digital “writing center” for students who had quick questions about their essays and assignments. We used AOL Instant Messenger (AIM) at the time. It was one of the first times I’d hack some sort of technology to give people what they were looking for, which turned out to be really helpful in a digital marketing career. I was also the founding editor of a newsletter for the English department. My version was old school—a PDF I’d create in Publisher. But now that newsletter has transformed into a blog that students contribute to. It’s really exciting to see how it’s evolved with the times. Adding a Business Minor to my writing degree also helped a lot. During the summer between sophomore and junior year, I was calling around to different publishing companies, book agents, and publications to try and find some internship experience. One of them told me that they were sick of seeing English majors with no business sense apply for jobs and completely shut me down. I immediately went back to school and added that minor to help give myself a leg up for life after graduation! Hustle! As cliché as it sounds, if you can write and work during your time at school, you’ll already have a portfolio ready to go when you graduate. That helps tremendously when you’re applying for copywriting jobs. Employers want to see that you’ve done more than just complete assignments in class. And once you are working, whether it’s in your field or not, keep writing! Take any freelance gig you can get, start your own blog, do something that keeps you writing and honing your craft. I’d also recommend that you branch out beyond the English department. Taking a few business classes helped give me some baseline knowledge that my bosses appreciated. As fun as it was to spend hours a day reading literature and writing poetry, I’m glad I forced myself to break out into the business department as well. You don’t have to stick to business classes either. Classes in journalism, social media, marketing, or even web development can really help you round out your education and make you more marketable to employers. 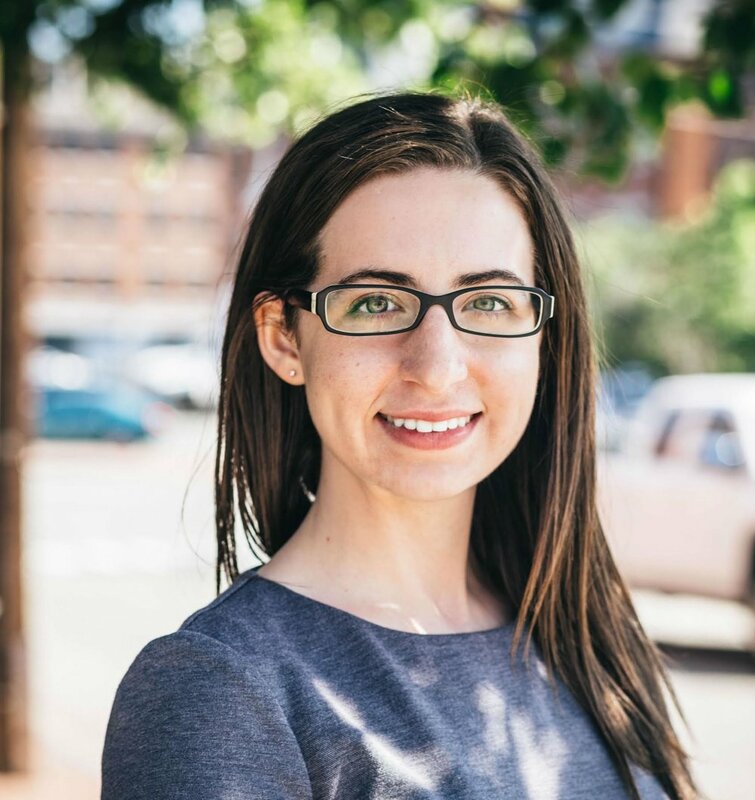 You can connect with Cassie Viau on LinkedIn here! Posted on February 4, 2018 by Alyssa W. Christensen and filed under Marketing, Interview, Interviews and tagged Marketing.